Help to develop and disseminate local climate change outreach and education resources for K-12 educators and nonprofits. Help local governments, non-profits, and local businesses reduce operating costs and improve their bottom line through building energy benchmarking, technical assistance, direct installation of energy efficiency measures, and rebate support. Develop technical guidance to assist local governments with advancing their Zero Net Energy initiatives for new construction and retrofits. Support expansion of alternative transportation and alternative fuels options in the North Coast region. 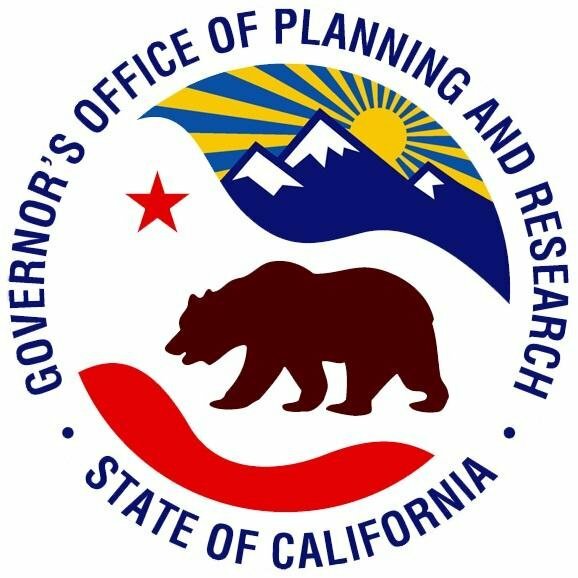 Support Climate Action Planning and community climate research and climate risk analysis for Sierra region local government as well as support implementation of newly-established Energy Action Plans. Also, Civic Spark will support local jurisdictions through the Sierra Climate Adaptation and Mitigation Partnership (“Sierra CAMP”) – a partnership intended to catalyze Sierra leaders towards great climate resiliency and preparedness. Participate in the design and implementation of GHG reduction programs at neighborhood and community organization level that coordinate volunteers, community members, and local leaders. This project consists of two phases: 1) Conduct a high-level vulnerability assessment for the Sacramento region’s transportation system, and recommend policies and next steps, and 2) Work with other agencies (federal, state, and local) to build capacity for more in-depth analysis on climate impacts in the region. Work with Sacramento communities and local tree foundations to increase the urban canopy in disadvantaged neighborhoods. Review and evaluate the Yolo County Climate Action Plan including the current status of the County’s goals, and the effectiveness of the Plan’s policies and action items. Identify those policies that may need to be modified in order to accomplish the County’s goals and make the corresponding recommendations. Support the Business Resource Incentive Program (BRIP)-The first phase of BRIP was extremely successful, completing 19 business assessments and reducing 188 MT CO2 annually. The Member will work closely with these 19 businesses while also looking at expanding the program in future years. Increase county department readiness for climate change by looking at other models that other jurisdictions have adopted to create inter-departmental protocols to improve actions “on-the-ground” with department staff. Collaboration with multiple South Bay cities for support of GHG tracking / inventory and Development of resources for community engagement on climate action. Work with San Luis Obispo County and the San Luis Obispo Air Pollution Control District on the implementation of Climate Action Plans for 7 local jurisdictions. Support Business Energy Tune Up program in Fresno County, providing outreach and education to business owners, support for engagement in rebate and incentive programs and follow-up post upgrade. Support development of content and completion of the Merced County Climate Action Plan. Support adoption of complete streets policies in the Central Valley through workshop development and technical assistance. Provide technical assistance on building energy use for local governments in the Central Valley through initial benchmarking in EPA EnergyStart Portfolio Manager, then developing readiness reports to guide decision making and providing support for council policy making and peer information exchanged. Support development of a core constituency who supports urban forestry by educating elected officials, staff and community leaders and Increase urban forestry expansion and management capacity through technical support and training. appropriate for the County’s unincorporated communities. Provide Climate Action Planning support to local governments and their Councils of Government. Support increased green building services, mobility options, and water/energy savings projects by developing project templates and implementing projects that align with the goals set forth in L.A. County’s Municipal Climate Action Plan. Support data/IT efforts to gather, archive and report on local building stock energy performance. Catalog and disseminate an inventory of sustainability practices being undertaken by local governments in the region, and support regional “last mile” station development through inventory, engagement of public sector and outreach to community members. Support the Ventura Better Business Challenge of reducing energy usage by 20% by the year 2020. Also support developing increased public and active transportation in the west side of the City of Ventura. Help Fontana prepare a climate action plan, which will be incorporated into the City’s General Plan. documents and template into a localized Climate Action Plan. Conduct home energy assessments as a means to educate homeowners about energy efficiency, and a way to encourage them to incorporate energy efficiency (EE) measures into planned renovation projects. Update the GHG emission inventory prepared in 2011 in order to establish a thorough and defensible basis for GHG emissions forecasts and reduction targets. Promote the existing SANDAG iCommute program, which is a regional, County-wide program promoting ridesharing, public transit, and bicycling resources, within the North County coastal communities of Del Mar, Solana Beach, and Encinitas, targeting small to mid-size employers and residents. To assist the Port of San Diego and by extension, the full set of San Diego Climate Collaborative partners with climate action planning and preparing for climate change impacts. Implement recommendations from the recent San Diego Regional EV Readiness Plan. Specifically, provide critical support to two South Bay cities, by (1) tailoring state & regional EVSE permitting guidance to each jurisdiction’s, (2) organizing a South Bay training session for planners, building inspectors, and contractors, and (3) coordinating “EV Ride & Drive” opportunities.